We use Cadsoft EAGLE PCB Design Software and love it! 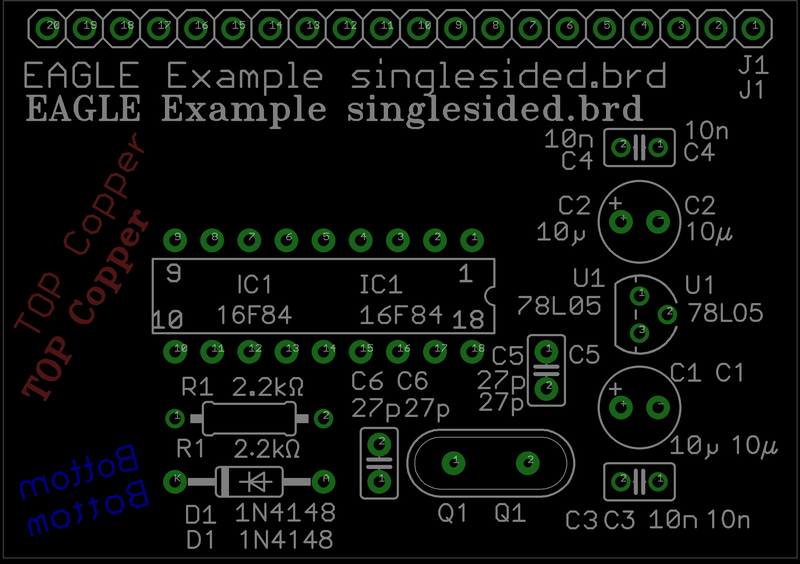 EAGLE's "vector" font is functional and more than adequate but we've often had "CAD Envy" of other pcb software that could provide "pretty text" in the silkscreen and copper layers of printed circuit board designs. 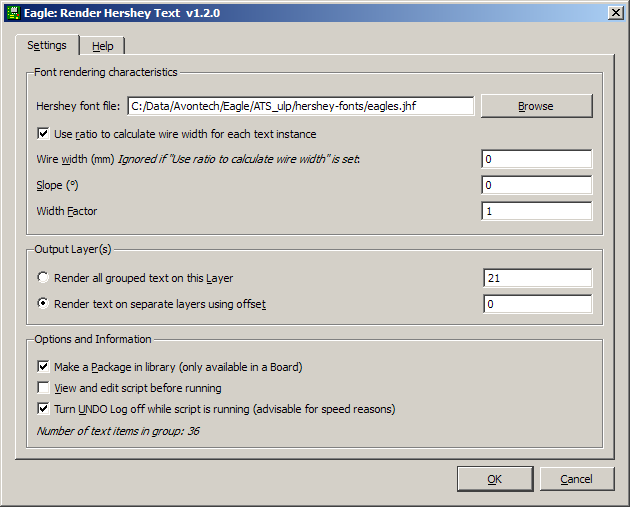 We use Inkscape for some of our work and through it we discovered Hershey Text: An Inkscape extension for engraving fonts. 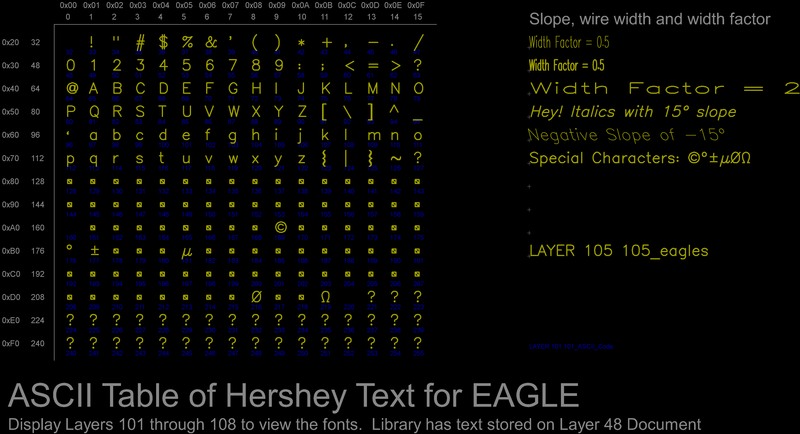 We took inspiration from this and "copy-text-as-wire.ulp" that is distributed with EAGLE and decided to write a ULP (user language program) to render text using Hershey fonts in Cadsoft EAGLE PCB software. After researching a variety of Hershey font implementations we built upon the work of Kamal Mostafa's Hershey Fonts project. 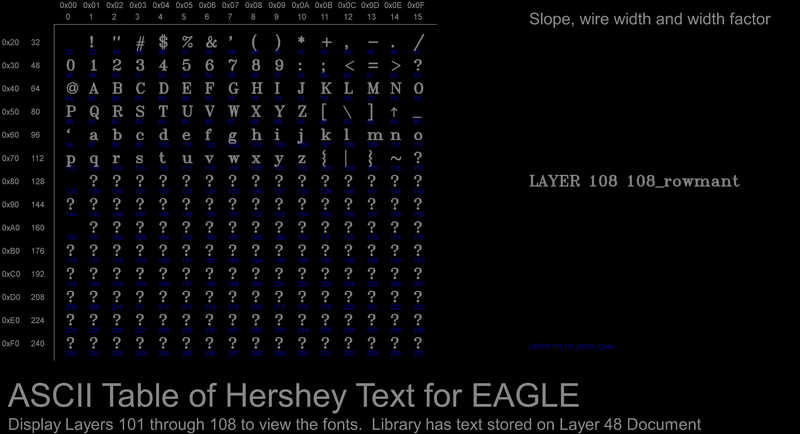 Where can I Download hershey-text.ulp? From the project GitHub site. New or updated font data files will be found here. Unzip the contents into your ULP directory to get started. We have some ideas for improvements and we invite you to review these, report bugs, issues or suggest enhancements on the GitHub issues page. Otherwise, please contact us at info@avon-tech-solutions.co.nz if you have questions, comments or bug reports about this ULP. Here's some screen shots of an EAGLE v5.12 board file using the eagles.jhf "simplex" font and the rowmant.jhf "complex" font. Simplex eagles.jhf has some special characters included. This is a screen shot of the EAGLE example project "singlesided.brd" with some text including the tNames and tValues information shown in original vector and rendered forms.